This book provides the most detailed information presently available about cell salts. Everything that Dr. Schüssler himself has written up to thepublication of his latest, the eighteenth edition of his “Abgekürzte Therapie” is included, together with much clinical experience by the homoeopathic profession, account of which is scattered throughout our journals and society transactions. The work is thus as complete as it can be at the present time regarding everything pertaining to the Biochemical treatment of disease and its relation to Homoeopathy. How can you treat Abscess with Schüssler’s Tissue Salts? Learn the complete Biochemic treatment of Abscess. How can you treat Addison’s disease with Schüssler’s Tissue Salts? Learn the complete Biochemic treatment of Addison’s disease. How can you treat Amenorrhoea with Schüssler’s Tissue Salts? Learn the complete Biochemic treatment of Amenorrhoea. How can you treat Anaemia with Schüssler’s Tissue Salts? Learn the complete Biochemic treatment of Anaemia. How can you treat Aneurism with Schüssler’s Tissue Salts? Learn the complete Biochemic treatment of Aneurism. How can you treat Angina Pectoris with Schüssler’s Tissue Salts? Learn the complete Biochemic treatment of Angina Pectoris. How can you treat Aphonia with Schüssler’s Tissue Salts? Learn the complete Biochemic treatment of Aphonia. How can you treat Arthritis with Schüssler’s Tissue Salts? Learn the complete Biochemic treatment of Arthritis. How can you treat Asthma with Schüssler’s Tissue Salts? Learn the complete Biochemic treatment of Asthma. How can you treat Atrophy with Schüssler’s Tissue Salts? Learn the complete Biochemic treatment of Atrophy. How can you treat Backache with Schüssler’s Tissue Salts? Learn the complete Biochemic treatment of Backache. How can you treat Bites of Insectswith Schüssler’s Tissue Salts? Learn the complete Biochemic treatment of Bites of Insects. How can you treat Bones, diseases of with Schüssler’s Tissue Salts? Learn the complete Biochemic treatment of Bones, diseases of. How can you treat Brain with Schüssler’s Tissue Salts? Learn the complete Biochemic treatment of Brain. How can you treat Brain-fag with Schüssler’s Tissue Salts? Learn the complete Biochemic treatment of Brain-fag. How can you treat Bronchitis and Bronchial Catarrh with Schüssler’s Tissue Salts? Learn the complete Biochemic treatment of Bronchitis and Bronchial Catarrh. How can you treat Burns with Schüssler’s Tissue Salts? Learn the complete Biochemic treatment of Burns. How can you treat Catarrhal Troubles with Schüssler’s Tissue Salts? Learn the complete Biochemic treatment of Catarrhal Troubles. How can you treat Chicken pox with Schüssler’s Tissue Salts? Learn the complete Biochemic treatment of Chicken pox. How can you treat Cholera with Schüssler’s Tissue Salts? Learn the complete Biochemic treatment of Cholera. How can you treat Chorea with Schüssler’s Tissue Salts? Learn the complete Biochemic treatment of Chorea. How can you treat Colic with Schüssler’s Tissue Salts? Learn the complete Biochemic treatment of Colic. How can you treat Concussion of the Brain with Schüssler’s Tissue Salts? Learn the complete Biochemic treatment of Concussion of the Brain. How can you treat Constipation with Schüssler’s Tissue Salts? Learn the complete Biochemic treatment of Constipation. How can you treat Cough with Schüssler’s Tissue Salts? Learn the complete Biochemic treatment of Cough. How can you treat Croup with Schüssler’s Tissue Salts? Learn the complete Biochemic treatment of Croup. How can you treat Delirium with Schüssler’s Tissue Salts? Learn the complete Biochemic treatment of Delirium. How can you treat Dentition with Schüssler’s Tissue Salts? Learn the complete Biochemic treatment of Dentition. How can you treat Diabetes Mellitus with Schüssler’s Tissue Salts? Learn the complete Biochemic treatment of Diabetes Mellitus. How can you treat Diarrhoea with Schüssler’s Tissue Salts? Learn the complete Biochemic treatment of Diarrhoea. How can you treat Diphtheria with Schüssler’s Tissue Salts? Learn the complete Biochemic treatment of Diphtheria. How can you treat Dizziness with Schüssler’s Tissue Salts? Learn the complete Biochemic treatment of Dizziness. How can you treat Dropsical Affections with Schüssler’s Tissue Salts? Learn the complete Biochemic treatment of Dropsical Affections. How can you treat Dysentery with Schüssler’s Tissue Salts? Learn the complete Biochemic treatment of Dysentery. How can you treat Dysmenorrhoea with Schüssler’s Tissue Salts? Learn the complete Biochemic treatment of Dysmenorrhoea. How can you treat Ear diseases of with Schüssler’s Tissue Salts? Learn the complete Biochemic treatment of Ear diseases of. How can you treat Enuresis with Schüssler’s Tissue Salts? Learn the complete Biochemic treatment of Enuresis. How can you treat Epilepsy with Schüssler’s Tissue Salts? 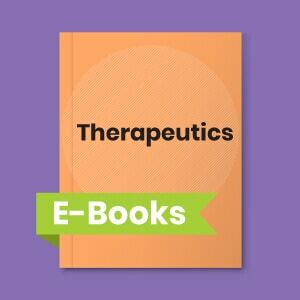 Learn the complete Biochemic treatment of Epilepsy. How can you treat Erysipelas with Schüssler’s Tissue Salts? Learn the complete Biochemic treatment of Erysipelas. How can you treat Exophthalmic Goitre with Schüssler’s Tissue Salts? Learn the complete Biochemic treatment of Exophthalmic Goitre. How can you treat Eye diseases of with Schüssler’s Tissue Salts? Learn the complete Biochemic treatment of Eye diseases of. How can you treat Fever, simple with Schüssler’s Tissue Salts? Learn the complete Biochemic treatment of Fever, simple. How can you treat Fistula in ano with Schüssler’s Tissue Salts? Learn the complete Biochemic treatment of Fistula in ano. How can you treat Gall-stones with Schüssler’s Tissue Salts? Learn the complete Biochemic treatment of Gall-stones. How can you treat Gastric derangements with Schüssler’s Tissue Salts? Learn the complete Biochemic treatment of Gastric derangements. How can you treat Glandular Affections with Schüssler’s Tissue Salts? Learn the complete Biochemic treatment of Glandular Affections. How can you treat Gonorrhoea with Schüssler’s Tissue Salts? Learn the complete Biochemic treatment of Gonorrhoea. How can you treat Haemorrhage with Schüssler’s Tissue Salts? Learn the complete Biochemic treatment of Haemorrhage. How can you treat Haemorrhoids with Schüssler’s Tissue Salts? Learn the complete Biochemic treatment of Haemorrhoids. How can you treat Hay fever with Schüssler’s Tissue Salts? Learn the complete Biochemic treatment of Hay fever. How can you treat Headache with Schüssler’s Tissue Salts? Learn the complete Biochemic treatment of Headache. How can you treat Heart, affections of with Schüssler’s Tissue Salts? Learn the complete Biochemic treatment of Heart, affections of. How can you treat Hiccough with Schüssler’s Tissue Salts? Learn the complete Biochemic treatment of Hiccough. How can you treat Hip disease with Schüssler’s Tissue Salts? Learn the complete Biochemic treatment of Hip disease. How can you treat Hoarseness with Schüssler’s Tissue Salts? Learn the complete Biochemic treatment of Hoarseness. How can you treat Hydrocele with Schüssler’s Tissue Salts? Learn the complete Biochemic treatment of Hydrocele. How can you treat Hydrocephalus with Schüssler’s Tissue Salts? Learn the complete Biochemic treatment of Hydrocephalus. How can you treat Hysteria with Schüssler’s Tissue Salts? Learn the complete Biochemic treatment of Hysteria. How can you treat Inflammations in general with Schüssler’s Tissue Salts? Learn the complete Biochemic treatment of Inflammations in general. How can you treat Influenza with Schüssler’s Tissue Salts? Learn the complete Biochemic treatment of Influenza. How can you treat Intermittent fever with Schüssler’s Tissue Salts? Learn the complete Biochemic treatment of Intermittent fever. How can you treat Kidney, affections of with Schüssler’s Tissue Salts? Learn the complete Biochemic treatment of Kidney, affections of. How can you treat Labor, Pregnancy, etc with Schüssler’s Tissue Salts? Learn the complete Biochemic treatment of Labor, Pregnancy, etc. How can you treat Leucorrhoea with Schüssler’s Tissue Salts? Learn the complete Biochemic treatment of Leucorrhoea. How can you treat Liver, affections of with Schüssler’s Tissue Salts? Learn the complete Biochemic treatment of Liver, affections of. How can you treat Marasmus with Schüssler’s Tissue Salts? Learn the complete Biochemic treatment of Marasmus. How can you treat Measles with Schüssler’s Tissue Salts? 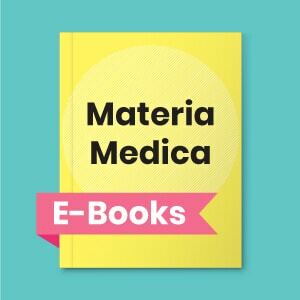 Learn the complete Biochemic treatment of Measles. How can you treat Mechanical Injuries with Schüssler’s Tissue Salts? Learn the complete Biochemic treatment of Mechanical Injuries. How can you treat Meningitis with Schüssler’s Tissue Salts? Learn the complete Biochemic treatment of Meningitis. How can you treat Menstruation vwith Schüssler’s Tissue Salts? Learn the complete Biochemic treatment of Menstruation. How can you treat Mental States with Schüssler’s Tissue Salts? Learn the complete Biochemic treatment of Mental States. How can you treat Morphine Habit with Schüssler’s Tissue Salts? Learn the complete Biochemic treatment of Morphine Habit. How can you treat Mouth, diseases of with Schüssler’s Tissue Salts? Learn the complete Biochemic treatment of Mouth, diseases of. How can you treat Mucous Membranes with Schüssler’s Tissue Salts? Learn the complete Biochemic treatment of Mucous Membranes. How can you treat Mumps with Schüssler’s Tissue Salts? Learn the complete Biochemic treatment of Mumps. How can you treat Neuralgia with Schüssler’s Tissue Salts? Learn the complete Biochemic treatment of Neuralgia. How can you treat Oedema of the Lungs with Schüssler’s Tissue Salts? Learn the complete Biochemic treatment of Oedema of the Lungs. How can you treat Orchitis with Schüssler’s Tissue Salts? Learn the complete Biochemic treatment of Orchitis. How can you treat Paralysis with Schüssler’s Tissue Salts? Learn the complete Biochemic treatment of Paralysis. How can you treat Paralysis pulmonum with Schüssler’s Tissue Salts? Learn the complete Biochemic treatment of Paralysis pulmonum. How can you treat Pleurisy with Schüssler’s Tissue Salts? Learn the complete Biochemic treatment of Pleurisy. How can you treat Pneumonia with Schüssler’s Tissue Salts? Learn the complete Biochemic treatment of Pneumonia. How can you treat Puerperal Fever with Schüssler’s Tissue Salts? Learn the complete Biochemic treatment of Puerperal Fever. How can you treat Raynaud’s disease with Schüssler’s Tissue Salts? Learn the complete Biochemic treatment of Raynaud’s disease. How can you treat Rheumatism with Schüssler’s Tissue Salts? Learn the complete Biochemic treatment of Rheumatism. How can you treat Rickets with Schüssler’s Tissue Salts? 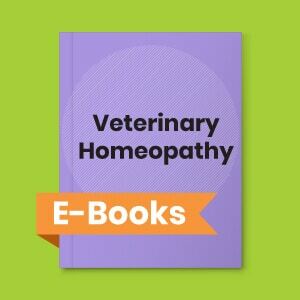 Learn the complete Biochemic treatment of Rickets. How can you treat Scarlatina with Schüssler’s Tissue Salts? Learn the complete Biochemic treatment of Scarlatina. How can you treat Sciatica with Schüssler’s Tissue Salts? Learn the complete Biochemic treatment of Sciatica. How can you treat Scrofula and Tuberculosis with Schüssler’s Tissue Salts? Learn the complete Biochemic treatment of Scrofula and Tuberculosis. How can you treat Septicaemia with Schüssler’s Tissue Salts? Learn the complete Biochemic treatment of Septicaemia.